I am going through my inventory and have decided to slash prices on tons of items so I can make room for new stuff! So time to take full advantage and head over to the Slasher Sale section of my Etsy shop! Hurry to reap in the benefits. Each item is one of a kind and once they are gone they are gone! Some items are even marked as low as $3!! My cousin Patrick sent me this updated photo of his girls’ bedroom. 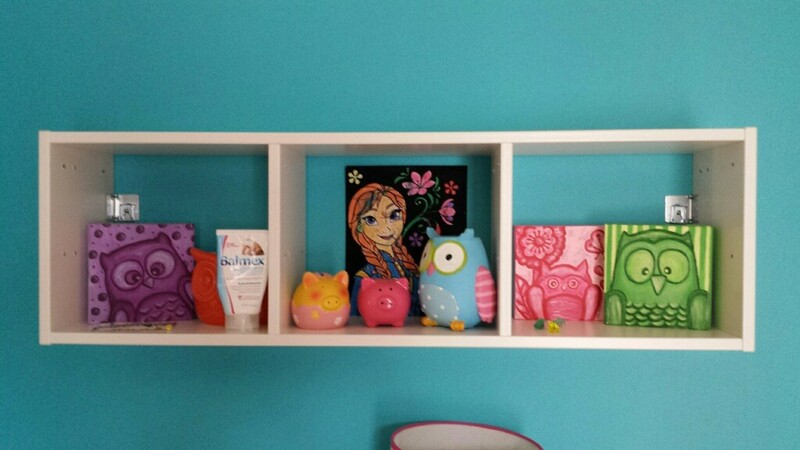 He moved the owl paintings I did for them to a shelf and I am totally digging the way it looks. You may recall I painted these about 3 years ago. You can see them in these previous posts as well. And of course this has been added to the awesome Freaky Fanatic Slideshow on my website! I love nothing more then photos like these showing the ways people are enjoying, sharing and wearing my work. So please continue to send them to me! I would love to feature your photos as well. 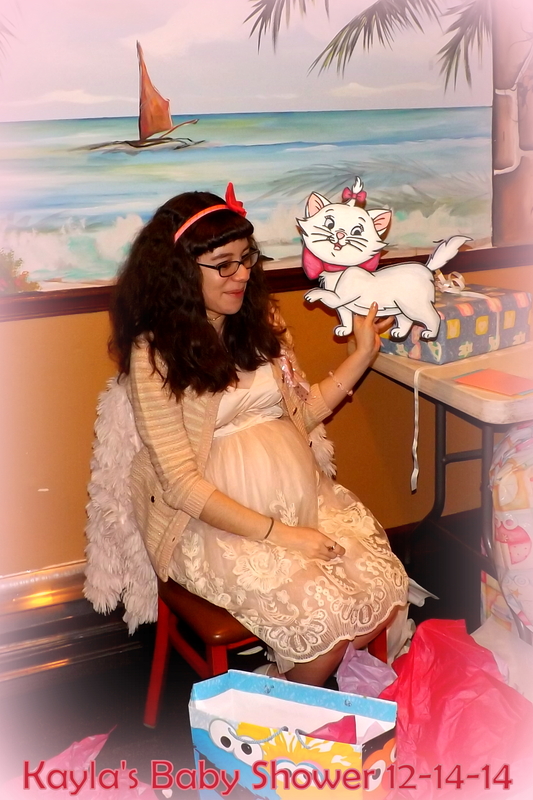 The past few weeks I have been a busy Aunt making gifts for my niece Kayla’s baby shower. She is doing her baby’s nursery in Disney’s The Aristocats with emphasis of the character Marie (because she is having a baby girl). 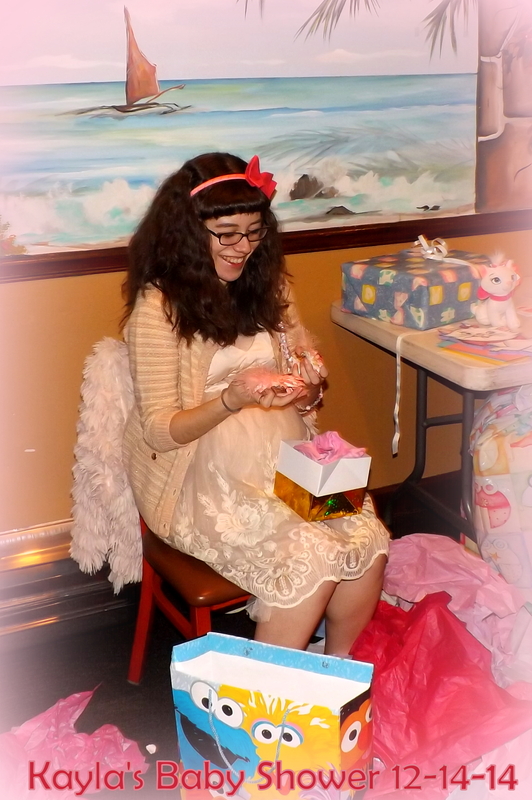 Today was her shower and I was very happy to see the smile on her face when she opened up her gifts. 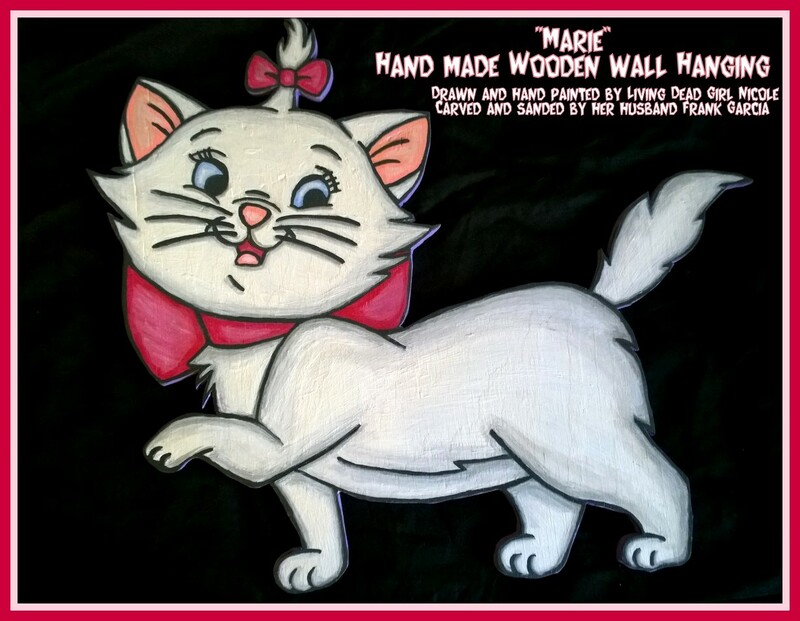 With the help of my husband Frank we were able to make her a wooden wall hanging of Marie. I drew it on wood, my husband cut it out with a saw and sanded it. I then painted it and sprayed it with a protective gloss. 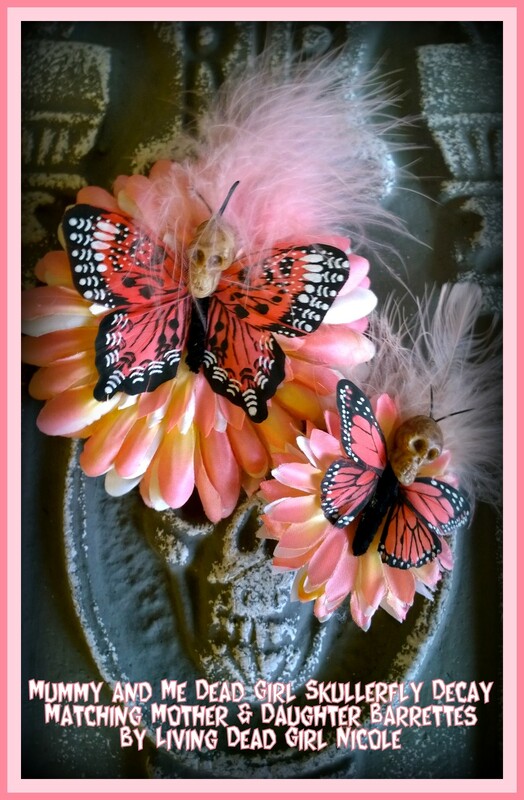 I also made her a set of my “Mummy and Me” matching Mother and Daughter Hair Barrettes. I picked the colors out based on what I thought Kayla would like and then when I saw the beautiful dress she was wearing for the shower I knew I did well. I couldn’t believe how much they matched what she actually wore to the shower. 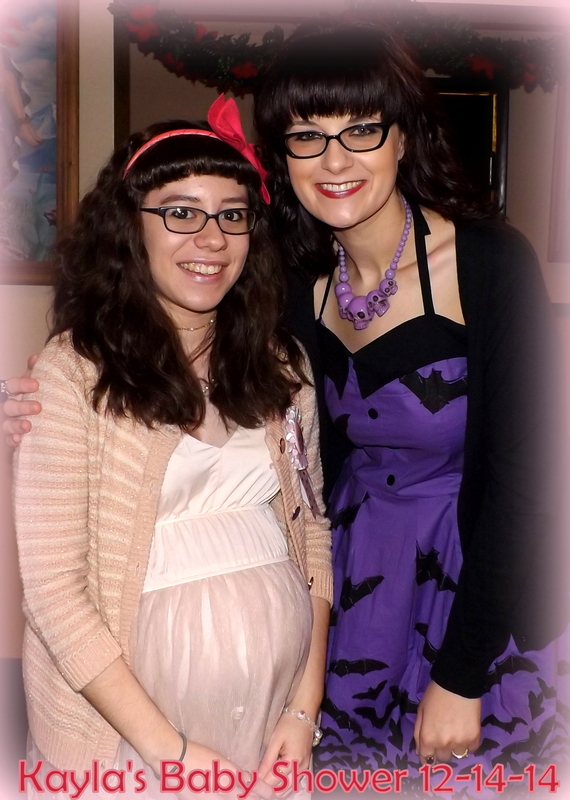 And last but not least a photo of Great Aunt Nicole with the beautiful Mommy to be….